I recently helped the owner of a dance and gymnastics studio with a live video camera display for their dance room. These were the studio owner’s questions. I was looking into your 2 camera system for live feed of our dance rooms. The system looks perfect for what we need at this time but I was wondering about how easy it would be to increase the functionality – recording classes, and wifi access to live images – from your basic system. What components would I need to accomplish those functions? This was reply to her questions. Out of the box, the live camera systems that you are referring to are only for live display – no recording. Their primary purpose is to setup a live video monitor on site. This is what we have supplied to many dance studios. The same HD security cameras that are included in those packages can also be used with a DVR (digital video recorder). 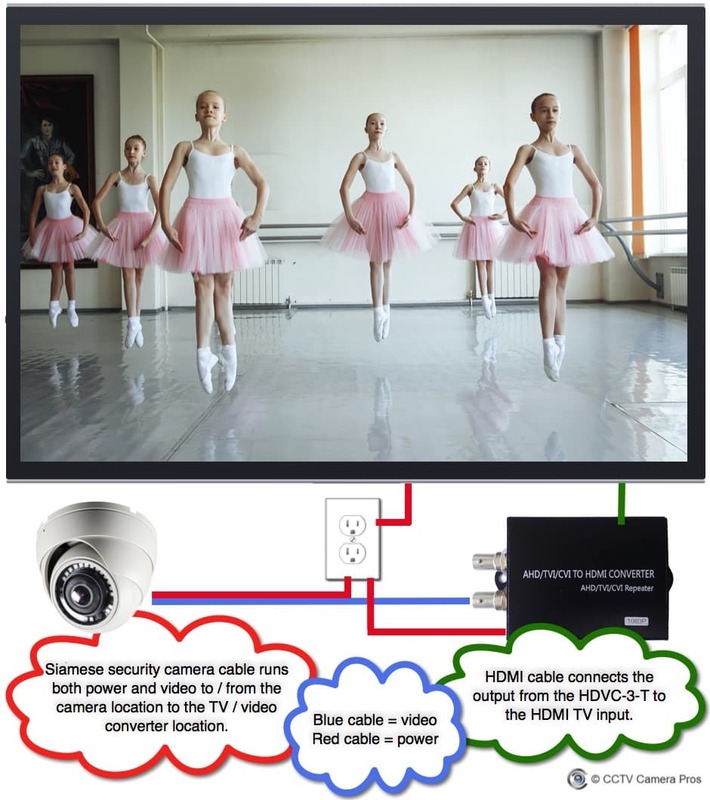 Each camera can provide a video signal to the multiplexer (device used for the display) and a DVR. This can be accomplished by later adding one of these video splitters for each camera. We have also supplied these DVRs to many studios as well. The DVR will also allow you to remotely login to your cameras to check on the studio from iPhone and Android mobile apps. There is also Windows and Mac PC software that support remote access. We also supply live video streaming PCs in case you ever want to stream live video of the studio on Facebook and/or YouTube. This is different than the remote access provided by the DVR’s apps (which is only for the studio owners to access). Those apps can not support many users logging in at the same time. For that, you need to use a platform like Facebook or YouTube. The streaming PCs can work in conjunction with either the multiplexer (included with the live display system) or the DVR.